If students are exposed to important principles of stick-handling and coordination sooner in the learning process, the transition from practice pad to drumset becomes easier. Since these exercises begin very simply, a student with some prior training may advance to whatever place in the book seems appropriate. We want students to begin playing their favorite rock beats and other fun rhythms earlier in their training. With this process, each student will acquire good practice and playing habits – the goal of this book. 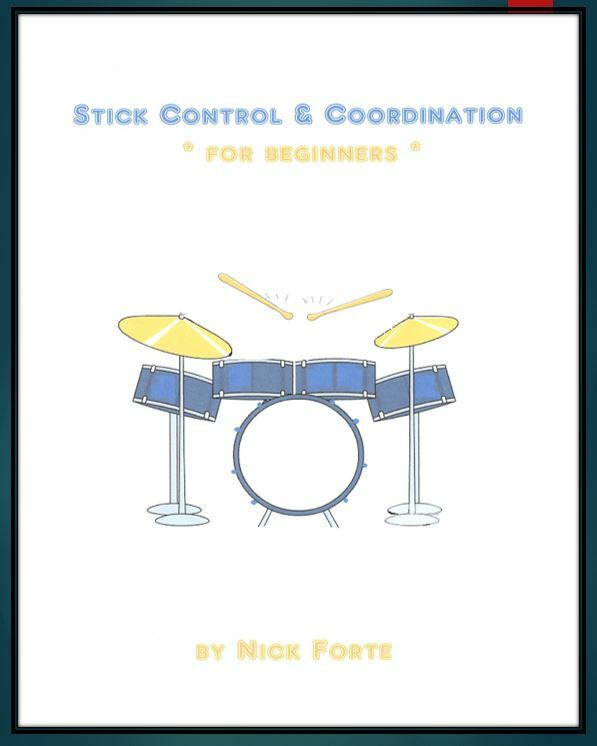 STICK CONTROL refers to the ability to move the hands (sticks/mallets) in appropriate ways in order to play specific rhythmic patterns with economy of motion and total relaxation . This leads to a more natural and flowing musical sound production. COORDINATION refers to the ability to simultaneously organize various thought patterns to control specific physical movements – such as needed for drumming. Young people are usually very agile. However, coordinating the fine wrist and finger movements needed for drumming will take specific instructions and daily practice.